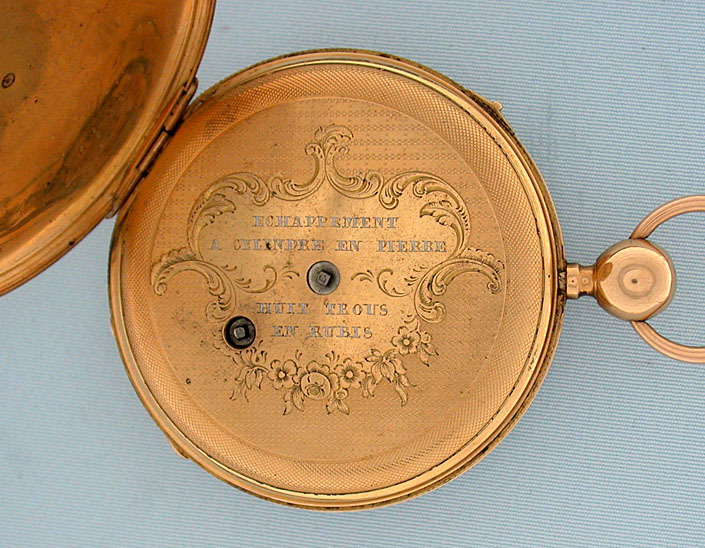 Fine 18K gold ruby cylinder quarter repeater circa 1830. 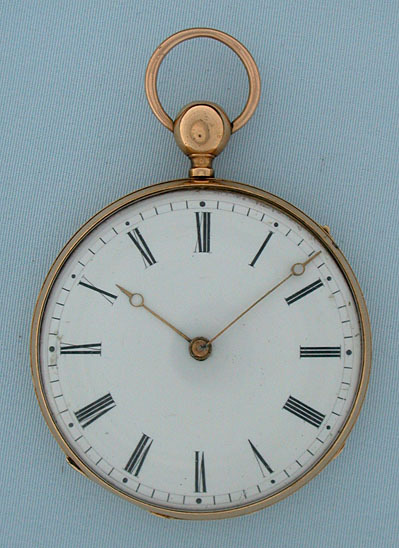 White enamel dial with gilt Breguet hands. The back of the case (which didn't photograph well) with a finely engraved harbor scene with a dog on the shore. 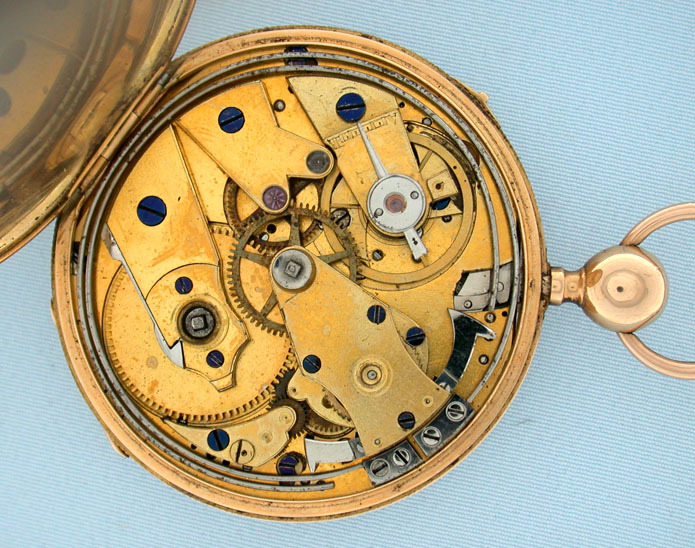 Gilt ruby cylinder movement with underslung escape wheel. 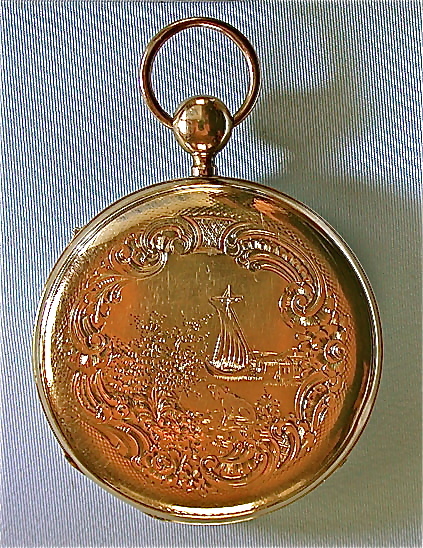 When the pendant is depressed, this watch chimes the time using different chime tones to designate the hours and quarter hours. There is a slide in the band which locks the pendant to prevent accidental activation. An excellent example with loud clear tone.